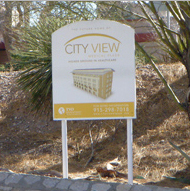 Custom lot signs designed, built and installed. View our gallery for samples of our work. From the largest to the smallest we have produced and installed. Metal, Wood, Plastics, Installation available is also available.